This is my 150th tea review on One More Steep! 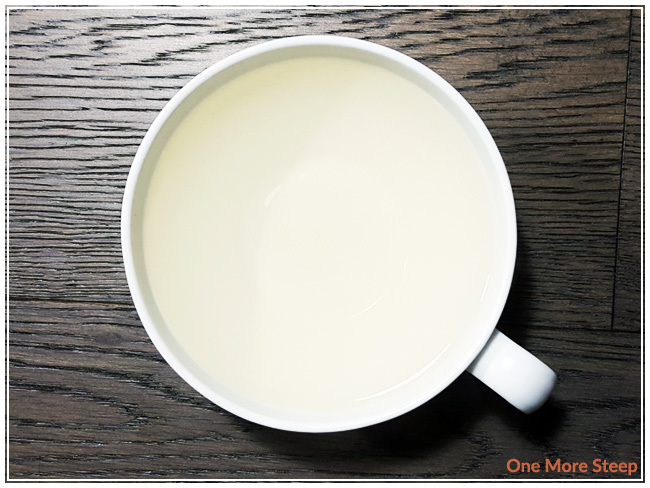 Cuiruan High Mountain Oolong is also called Pear Mountain High Mountain Oolong on Oollo Tea’s website. I bought Cuiruan High Mountain Oolong from Oollo Tea’s booth at the 2016 Vancouver Tea Festival based off of the recommendation from one of the lovely ladies there. I just love the classy look of the white and silver packaging, it’s just very nice to look at. Cuiruan High Mountain Oolong is described as have “peony and lily” notes, while having a “refreshing long aftertaste”. This tea is grown at 2000m elevation in Cuiruan, located on Pear Mountain. The dry leaf of Cuiruan High Mountain Oolong has a very light floral aroma to it, the tightly rolled pearls of tea are beautiful to look at. 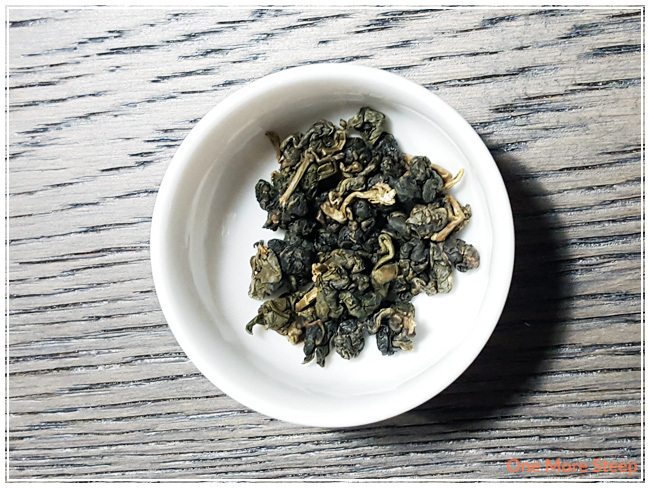 This specific type of oolong is called qingxing oolong (or green heart oolong). Oollo Tea recommends steeping this oolong tea for 2-5 minutes in 95°C (203°F) water. My initial steep was for 2 minutes. Cuiruan High Mountain Oolong steeps to a pale yellow for the initial. The tea itself has a great floral aroma to it that wafts up to you when you pour it into a tea cup. On first sip, I found that there was a light sweetness to that mingles well with the floral flavours. The taste of the tea does linger for a while in the mouth after it’s gone. It’s a very smooth tea, there’s zero bitterness, no astringency, and has a great mouthfeel to it because the tea just coats the entire mouth with the beautiful floral flavours. I always resteep my oolongs, and Oollo Tea suggests that the tea can be steeped up to 5 times so I had to give it a go. The first resteep, I noted that the liquor of the tea was a more golden, darker yellow than the first steep. There was a mix of floral with some nutty notes to it. There’s still the light sweetness, and the long lingering aftertaste. 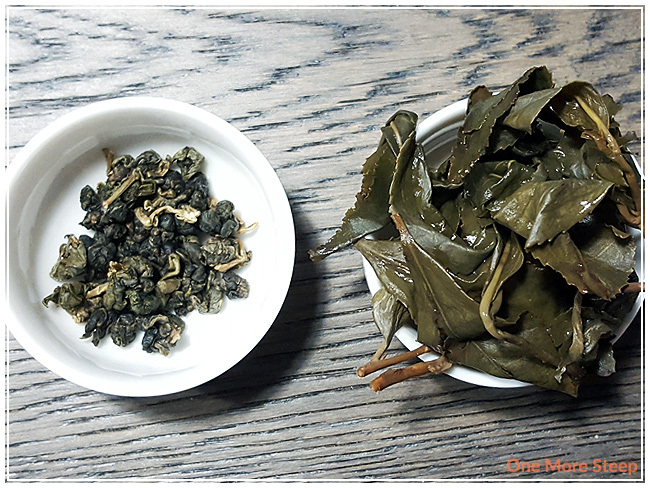 I continued to resteep Cuiruan High Mountain Oolong until I reached seven resteeps (eight steeps total with the same leaves). I found that the flavour profile of the tea reached a nice balance of floral and nutty by steep three, and the intensity was fairly well retained until the sixth overall steep. The seventh and eighth steep were lacking in flavour intensity, but the flavours were still there. For each sequential steep, I add an extra 30 seconds to the steeping time. 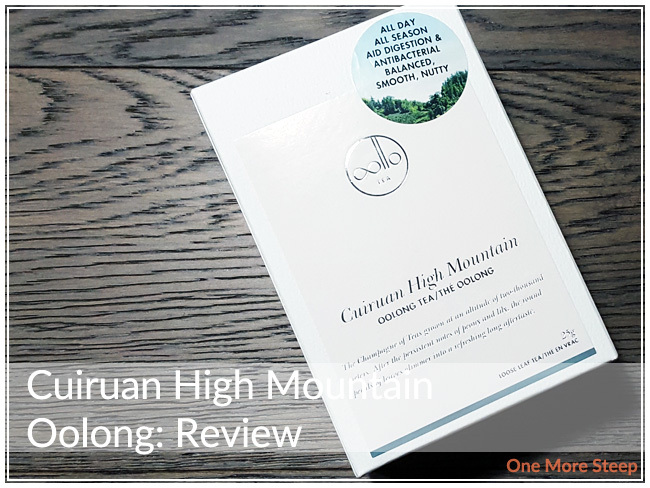 I loved Oollo Tea’s Cuiruan High Mountain Oolong. The flavour profile is complex, and I love how the tea tastes and changes with increasing steeps. This tea holds up well with an amazing number of resteeps, and I could have continued past the eighth steep since the flavour was still there, albeit not as strong. I think this tea could easily be paired with a savoury meal with the nutty flavours or with sweets, since it has those floral notes. It’s a delicious tea and I would definitely recommend resteeping this one throughout the day to experience all the changes with each steep.